Businesses thrive because of a certain prowess they attain through experience and fortitude. When you are an entrepreneur who is looking to build your brand through certain marketing techniques, there’s one thing you need to make it work. This is what rattles most entrepreneurs and is one of the main reasons so many people fail to launch a successful company online. They can’t micro-target the right types of people for their company. In this article, I will show you why and how you should micro-target your online audience and how to create more opportunities for your business by doing so. In reality, there is an audience waiting to read/hear what you have to offer. It’s up to you to create the perfect bridge to your doorstep for them. 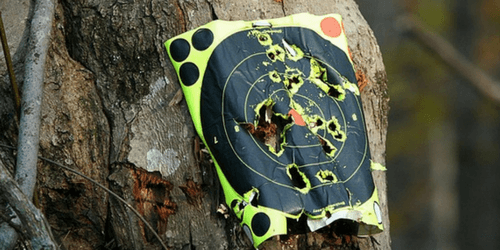 The difference between micro-targeting your audience and simply spreading your message the way you always have can be explained by a gun analogy. If you’re a social media expert, then you want to share everything you know about every social media platform and how it can help your audience. Granted, this is a pretty broad arena to be working in and it can be slow going for the first few months. This is the shotgun effect. The shotgun is your business explaining every social media network and trying to hit a broad audience. Like the shotgun, many pellets come out and spread all over the place after you shoot. Some people get hit and most everyone else gets missed. However, when you micro-target, you switch weapons. Instead of using the shotgun approach, you take your social media expertise and you begin to niche down. Instead of preaching all of social media now, you take over the Pinterest platform and become the expert there. Micro-target this platform by choosing a piece of Pinterest you know people could use your help on. Let’s say it’s Pinterest advertising. Now you are using a sniper rifle in your marketing strategy. You have pinpointed a specific audience, and, like the sniper, when you fire your marketing strategy, you hit everyone in a certain area instead of blasting around them like the shotgun approach. You should micro-target your audience because it is more effective and will help build your business faster. Micro moments is a term described by Google, giving you a chance to shape the way your audience sees your brand online. There are many ways you can dissect your audience in order to reach them effectively. One of the best ways to do this is through Facebook Pixel. This is a multi-device tracking instrument you can use for your benefit. As long as the user is logged into Facebook, Pixel will be able to track them. This tool allows you to determine their likes and dislikes, how to measure them effectively, and optimize for future landing pages by determining their actions online. Facebook Canvas is a tool which is not too well known yet within the marketing community. It’s a way to produce long-form content which will grab the attention of your audience. In this content you have a way to create advertisements and call to action prompts which will engage the user on a personal level. This allows you to pick and choose the right type of audience for your brand. And, just like advertising, Canvas is important because more and more people are staying on Facebook to read their content these days. Perhaps the best way to micro-target your audience online is to consistently create relevant content which will attract the right community to your business. Do your research and create a content strategy which will target these people based off your expertise (remember the Pinterest ads?). Begin creating content which speaks to people needing information about Pinterest advertising. The most important fact here is to always remember to be consistent. Creating content, whether it’s written content or through the use of video, is the foundation of your business. Your business needs to micro-target its audience if you want to begin seeing successful results for your online ventures. Do you have certain techniques which you use to define a specific audience? I’d love to hear about them in the comment section! Adding in my vote for targeting through Facebook – awesome stuff. Does Freeeup offer Facebook Pixel and Canvas experts? Hey Yvette, there are several Facebook experts on the marketplace that you can meet once you sign up and submit a worker request. If you don’t find exactly what you’re looking for, we can find someone at no additional cost to you.